This affordable mid-priced dart is made of 80% Tungsten. 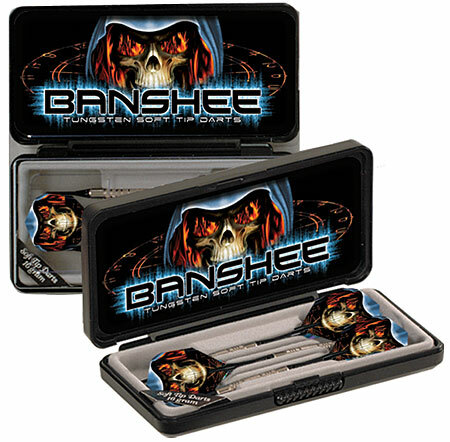 The Banshee dart has coarse knurled barrels to enhance its grip and is packaged in a custom designed carrying case. A Great introduction to Tungsten!